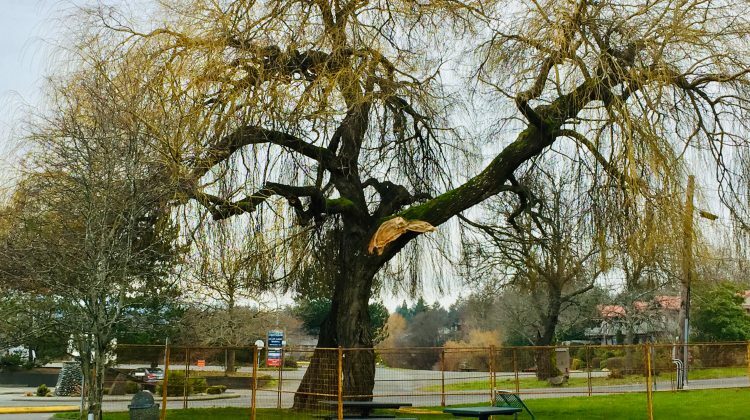 COMOX, B.C- An iconic tree in Comox’s Marina Park is getting cut down. According to the town government, the removal will be carried out either Thursday or Friday, depending on the weather. Fencing will stay around the site, in order to keep the public safe. The tree suffered major damage during a December storm, losing a major limb and showing signs of deterioration. 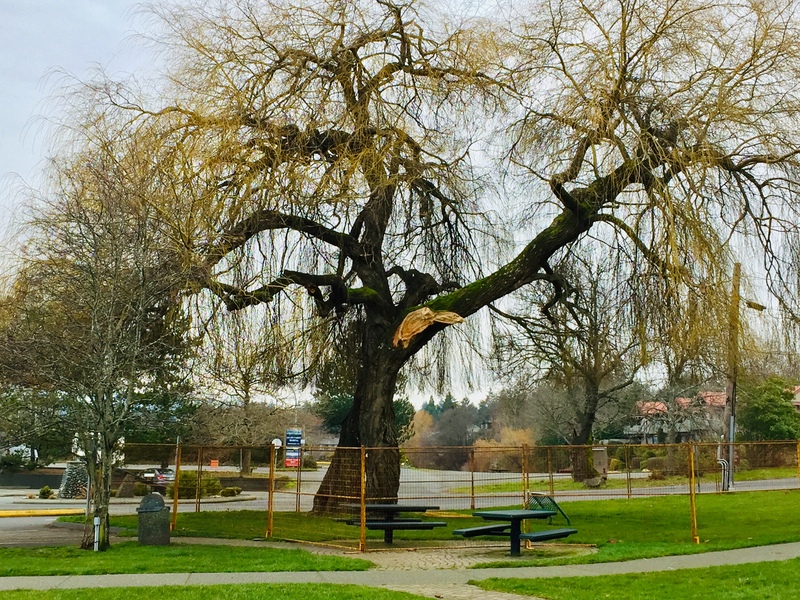 “On January 30th, 2019, the tree was assessed by a professional arborist who determined that the tree is showing signs of over maturity and in complete decline,” read a release from the town. Comox mayor Russ Arnott said it was “certainly disheartening” to lose a prominent natural feature of the park. The tree is believed to be around 100 years old. “While it is hoped that we may be able to retain the stump and allow it to sprout over time, the safety of our residents, the general public and our park visitors are our main priority,” said Arnott, in the town’s release. Arnott told the MyComoxValleyNow.com newsroom that it won’t be known if anything can be re-grown from the stump until after the cutting is carried out.